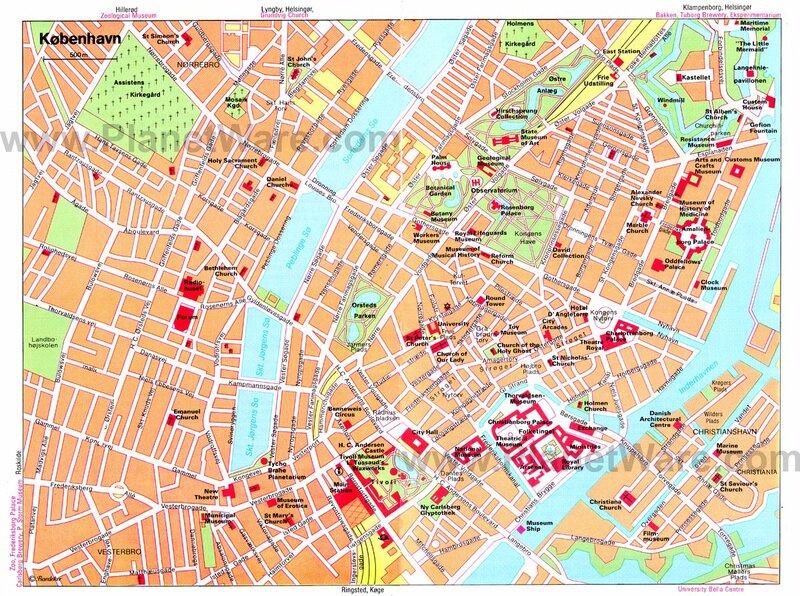 Denmark's capital, Copenhagen, is by far the largest city in the country. Here, you'll find the Parliament (Folketing) at Christiansborg, familiar to many through the Danish smash-hit TV series Borgen, and the residence of the Royal Family at Amalienborg. Arguably Scandinavia's most relaxed capital city, Copenhagen has a distinctly European feel, a friendly street-life, and unique café culture that will make you want to return time and time again. The city is perfect for wandering through at your leisure, or alternatively, make like a local and hop on a bike, the preferred mode of transport for many. Throughout the city, there's a nautical vibe reflected in the colorful shore-side homes of Nyhavn and tall ships docked along the quays. Remember, too, that this is where many would claim the much-vaunted Nordic food revolution began. As a consequence, Copenhagen is home to a great number of cutting-edge restaurants including world-renowned Noma where tables must be booked months, if not years, in advance. Walking from Town Hall Square and crossing H.C. Andersens Boulevard brings you to the inspiration behind the Disney theme parks, the famous Tivoli amusement park and pleasure gardens dating from 1843 (main entrance Vesterbrogade). Here, you'll find more than 20 attractions including a roller coaster; roundabouts; halls of mirrors; pantomime, puppet, and open-air theaters; a wealth of restaurants and cafés; flower gardens; and a Moorish-styled concert hall, which is particularly pleasing when lit up at night. The park is famous worldwide and appears in many movies. Indeed, some might say it's the most famous attraction in Copenhagen. At Christmas, Tivoli becomes an extravagantly decorated wonderland. On the tiny island of Slotsholmen is the Danish seat of government and an attraction that should be top on any visitor's agenda. 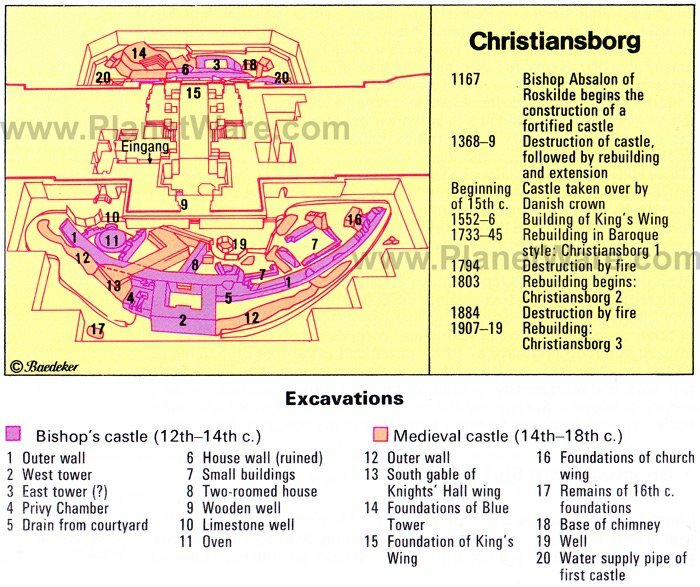 Christiansborg boasts more than 800 years of history and today, the palace is home to the Parliament, the Prime Minister's Office, and the Supreme Court. In addition, several parts are still used by the Royal House, although thankfully, much is open to the public. Occupying the site where Bishop Absalon built the earliest fortifications of the city in 1167, the ruins of the bishop's castle and the medieval fortress were discovered when the present palace was under construction. They can now be seen by visitors. An easy ten-minute walk from Tivoli along Vestergade brings you to the National Museum (Nationalmuseet), a must-see attraction for anyone with an interest in Danish history and culture. Some impressive runic stones are on display, and the Danish history collection includes a sun chariot (cult object in the form of a cart) that is more than 2,000 years old, Romanesque and Gothic church fittings, Danish porcelain and silver, and collections of antiquities and coins. The ethnographical collection, including items from Greenland, gives an excellent impression of life among the Eskimos. Other areas covered include Asia, Africa and Oceania as well as the culture of the Indians. Here, you'll also find the Prince's Palace (1744), a Rococo building influenced by the French style of the period. Around five-minutes' stroll from the National Museum, Thorvaldsen's Museum is also worth a visit to view spectacular works from this famous Danish sculptor. The National Gallery of Denmark displays the largest collection of Danish art from the 1700s to the present day, as well as impressive works from around the world. Highlights include the Danish and Nordic art exhibition, which spans 150 years, as well as paintings by the Dutch Masters, Edvard Munch, and Picasso among others. Natural light floods the upper floors giving the gallery a wonderful ambiance. Be sure to pick up a map before exploring all the collections. The café is particularly pleasant and a great place to unwind and soak up the surroundings. To the rear of Amalienborg lies Nyhavn (New Harbor), which is flanked by a street of the same name. At the end of the harbor, an anchor serves as a memorial to Danish sailors who lost their lives in World War II. Nyhavn was once a disreputable quarter of the city, but now, with its brightly painted gabled houses, many containing restaurants or cafés, it's a particularly charming part of Copenhagen that features in countless images of the city. Idyllic museum ships lie at anchor, including a lightship (Fyrskib) dating from 1885. From Nyhavn, hydrofoil and catamaran services operate to Sweden, as well as sightseeing trips around the harbor and along the canal. On Købmagergade is the Round Tower (Rundetårn), a 36-meter-high structure built as an observatory in 1642. It now also houses a small collection connected with the famous Danish astronomer Tycho Brahe. A particular treat is the platform, reached by a wide spiral ramp. From the top are magnificent panoramic views over the city. A new attraction is the glass floor hovering 25 meters above the ground where you can peer down into the castle's core. Fans of Hans Christian Andersen will be interested to know that the tower features in his well-known story The Tinderbox - "eyes as big as the Round Tower." After taking in the views and getting your breath back, why not continue on with a short walk around the Old Town? Wander by way of Skindergade and Kejsergade to Gråbrødretorv, one of Copenhagen's most charming squares with its brightly colored old houses. Less than one and a half kilometers from Rosenborg in the Frederiksstaden quarter, you'll find Rosenborg's sister palace, Amalienborg, along with its serene waterfront gardens. 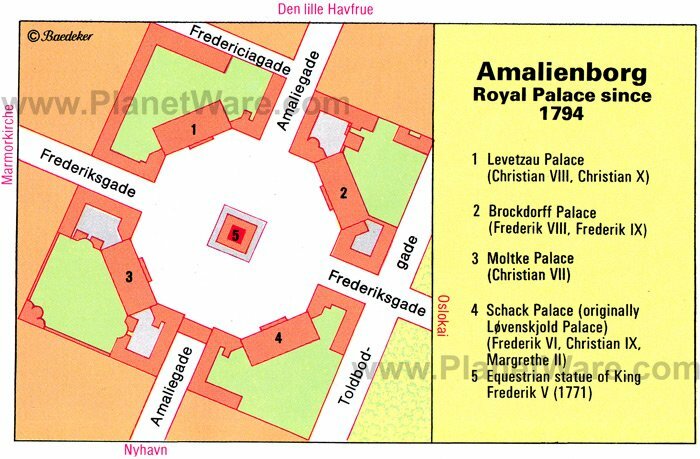 The four palaces facing onto the square were originally built as homes for the nobility, but were taken over by the Royal Family after a fire at Christiansborg in 1794. The palace takes its name from Queen Sophie Amalie who had a sumptuous summer retreat on the site, which also burned down in 1689. The area was designed to be a model society with the King as focal point and the aristocracy (the four palaces) surrounding him. Today, Queen Margrethe II and her family occupy the upper story of Christian IX Palace, and the Moltke Palace is used for official purposes. The soldiers of the Royal Guard with their bearskins and blue (on festive occasions red, white, and blue) uniforms are a unique symbol of the city. A stroll of around five minutes from Christiansborg takes you to the bustling shopping area of Strøget where you'll find a wealth of boutiques, cafés, and restaurants. Strøget, a nickname from the 1800s, consists of several roads criss-crossing one another, beginning at Town Hall Square (Rådhuspladsen) and ending at Kongens Nytorv. Some adjoining streets on the north have also been pedestrianized. International brand-name stores such as Max Mara, Prada, Louis Vuitton, and Hermès tend to be at the end of the street facing the direction of Kongens Nytorv. Follow Strøget towards City Hall Square for more affordable shopping at H&M, Weekday, and Zara. Less than ten-minutes' walk from the Round Tower and now home to some of Denmark's greatest cultural treasures, the castle was originally built by Christian IV as a pleasure palace. Inhabited by the royal family until 1720 and after that used as a summer retreat, the castle and contents became a museum in 1838. In the basement are the Danish crown jewels and royal regalia. 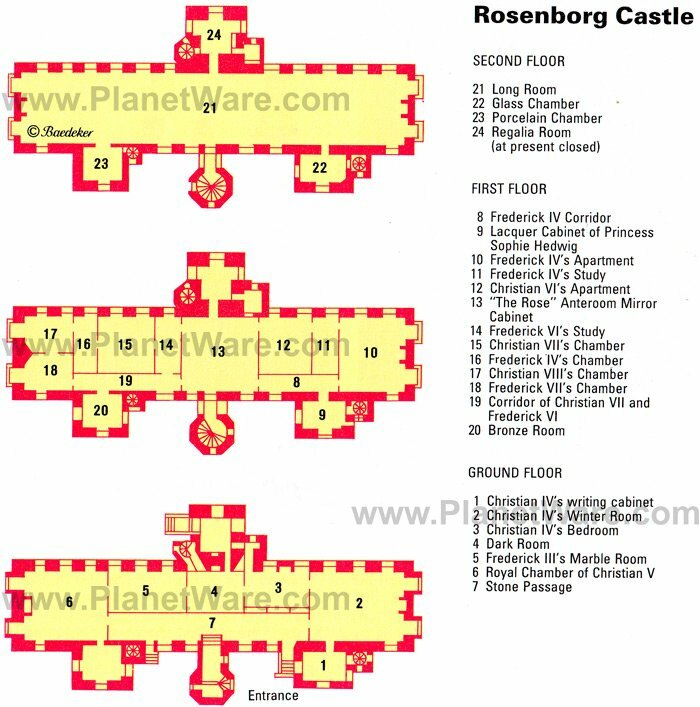 Of particular interest are the Marble Room, a Baroque reception room, and the Knights' Hall with the Coronation Throne (used between 1871 to 1940), as well as the famous Rosenborg Tapestries, which have adorned the walls since 1693. Exquisite porcelain is also on exhibit, including the famous Flora Danica service. Let's face it: You can't visit the Danish capital without seeing the Little Mermaid, so head along the waterfront from Nyhavn to Kastellet (less than two kilometers) and take in the iconic statue and surroundings. 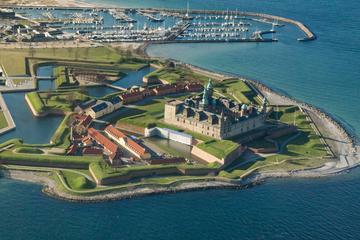 Kastellet is the former Citadel of Frederikshavn, the oldest parts of which date from 1625. The Citadel buildings are well maintained and well worth exploring. The Little Mermaid (Den lille Havfrue), which you'll see from the shore, is the official emblem of Copenhagen. The bronze sculpture, created by Edvard Eriksen in 1913, is based on a theme from one of Hans Christian Andersen's fairy tales, which tells the tale of a mermaid who once came up out of the depths of the sea because she'd fallen in love with a prince. Sadly, as the prince didn't reciprocate, she was forced to leave the human world and return once more to the sea. Busy Town Hall Square (Rådhuspladsen) is dominated by Copenhagen Town Hall (built between 1892 and 1905), which is based on a mix of Italian Renaissance and medieval Danish architecture. For marvellous views, you can climb the tower; at 106 meters high, it is the tallest in the city. The building itself is richly adorned with sculptures and paintings. Above the main entrance is a figure of Bishop Absalon in gilded copper, and in the Great Hall are busts of Danish notables such as Martin Nyrop (1849-1921), the architect who designed the building, the sculptor Bertel Thorvaldsen (1770-1840), Hans Christian Andersen (1805-76), and the physicist Niels Bohr (1885-1962). The World Clock at the main entrance was designed and constructed by Jens Olsen in 1955 and shows not only the time and date, but also various astronomical constellations. Starting out as a hippy settlement more than 40 years ago, this unique and controversial area was firstly designated as a social experiment and is now owned by the residents. Christiania is one of Denmark's most loved tourist attractions, and each year, this "freetown" lures up to a million visitors. Admittedly, it may not be to everyone's taste, however, it is a functioning alternative society, a place where many accepted norms simply don't apply, and people live by their own rules. Cars are banned, bicycles are the main mode of transport, and horses roam free. Highlights are the handmade houses and buildings and the large lake where children splash around with each other on hot summer days. The small shops and cafés use a special Christiania currency. About a 20-minute drive north of Copenhagen, Bakken amusement park is a folksy version of the Tivoli, with numerous restaurants, cafés, and fun things to do - especially for younger children. Believe it or not, this has been a leisure facility since 1583. There are no less than six roller coasters and more than 30 different rides, including a ghost train. The surrounding wood and parkland is particularly pleasant, and there are excellent train and bus links from the city-center for those who aren't driving. Nearby, you'll find Klampenborg with prestigious villas and excellent bathing. To the west of Copenhagen, a little more than three kilometers from the city center, lies the Zoological Garden (Zoologisk Have), founded in 1859 and one of the oldest and largest zoos in Europe. The enclosures imitate the animals' natural surroundings as closely as possible. Here, you can watch polar bears, seals, lions, and other animals being fed. At the entrance, there's an observation tower. Favorite exhibits are the bird lake with storks and pelicans, reptile house, monkey house, and lion's den among others. Of particular interest is the Norman-Foster-designed elephant enclosure. Luxury Hotels: In a wonderful location overlooking the Tivoli Gardens, just a short stroll from the Town Hall, the boutique Nimb Hotel offers luxurious, individually designed rooms and suites. The modern Copenhagen Marriott Hotel occupies a prominent waterfront location on the city's harbor, a short stroll from the Tivoli Gardens and a couple of kilometers away from the Kongens Nytorv area. In the up-and-coming Orestad area and adjacent to Scandinavia's largest mall, the Crowne Plaza is a unique property, designed using sustainable principles and offering spacious rooms with expansive views. The Metro stop is right outside the hotel and the Old Town is a 10-minute ride away. Mid-Range Hotels: In the hip Vesterbro neighborhood is the Andersen Boutique Hotel. Rather than a specific check-in and check-out time, this hotel offers a 24-hour rental, starting at the time you arrive. Also in the same area is the Axel Guldsmeden hotel, with a Balinese-inspired décor and a wonderful courtyard with comfortable seating. Conveniently located next to the main train station is the modern 161-room Absalon Hotel, with a variety of spacious rooms. Budget Hotels: The recently renovated Hotel Rye includes a free breakfast and is near the Kastellet and the Little Mermaid statue. With two-bedroom suites, perfect for families, the Wakeup Copenhagen is a block from the waterfront and a 10-minute walk to Tivoli Gardens. For basic, low-cost rooms in a central location try the Hotel Nebo, a short stroll from the train station. Sightseeing: If you're short on time and want to see as many sights as possible, the Copenhagen Hop-On Hop-Off Tour by Bus and Boat is a convenient option. Accompanied by an informative commentary, this flexible tour allows you to combine four interconnected sightseeing routes, on land and water, stopping to spend time at your favorite attractions and hopping back on to continue the tour. The tickets are valid for 48 hours. If you have even less time, the three-hour Copenhagen Panoramic City Tour with Harbor Cruise includes a guided tour of the city by bus and a relaxing cruise past the city's top sights in a canal boat. Along the way, you'll hear interesting commentary and visit attractions such as Tivoli Gardens, Amalienborg Palace, Christiansborg Palace, and the Little Mermaid. North Zealand Day Trip: To see some of North Zealand's beautiful scenery and tour some impressive fortresses, sign up for the Castles Tour from Copenhagen: North Zealand and Hamlet Castle. This full-day excursion takes you along the coast for a guided tour of World Heritage-listed Kronborg Castle, used as the location for the film adaptation of Shakespeare's Hamlet. From here, you travel to Fredensborg, the summer residence of Denmark's Queen, capping off the tour at the 17th-century Frederiksborg Castle. Save Money: If you plan on visiting several of the city's attractions and want to save money, consider pre-purchasing a Copenhagen Card. 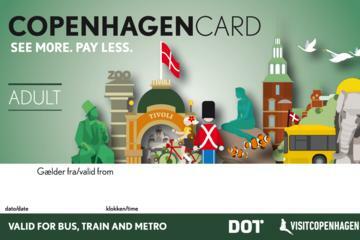 This great-value card gives you free entry into 74 Copenhagen attractions (including Tivoli Gardens); free, unlimited use of the city's public transport networks; and discounts for certain tours, museums, and restaurants.